Contrary to police reports saying carjack gang leader Ivan Padilla, killed on August 2 in a shootout with Makati police, sustained a gunshot wound in the head, an autopsy report of Padilla’s body, shown by his family to Rock Ed founder Gang Badoy-Capati, reveals as the cause of death, "Asphyxia as a result of blunt force to the throat." The shootout happened between 4 a.m. and 5 a.m., NCRPO spokesman Senior Superintendent Rommel Miranda told ABS-CBNNews.com. Padilla was even able to identify himself and tell TV Patrol World that he had been shot in the head afterwards. He arrived at 5:50 a.m. at the Ospital ng Makati, which is 15 minutes away from the shout-out site at most, Padilla’s family told Capati. He was declared dead at 6 a.m.
"Why did it take so long to get Ivan to Ospital ng Makati?" 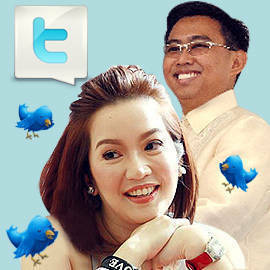 Padilla’s family voiced their concern to Capati, who documents it in a blog entry filed under the Rethink Media Group. Miranda told ABS-CBNNews.com that the police first had to secure the area and the safety of the civilians and police operatives. He added that this is the standard operating procedure of the police. "We have more compelling reasons to arrest him alive than have him killed in a shootout. We’re interested in the other [gang] members." Padilla’s sister, whom Capati identifies as "M," said Padilla was merely "dropped off" at the Ospital ng Makati. When M arrived at the hospital, there were no police officers and media members. M added that Padilla’s name in the hospital records was Mister X. "If Ivan was already declared as ’arrested’ or ’captured,’ why not identify or give his name to the E.R. nurse or doctor? Is it standard operating procedure to merely ’drop off’ a dying or even [dead on arrival] suspect?" Capati quotes the Padillas. Capati talked to Padilla’s sisters, life partner and mother Malou, who is detained at the Correctional Institution for Women. The Padillas also deny that Padilla’s father is in jail on drug charges as Supt. Maristelo Manalo told Inquirer.net. Now under minimum watch, Malou has "turned to God" since she was jailed over a decade ago on a drug-related charge, Padilla’s sister told Capati. Padilla’s family also denied that they live in Forbes or Ayala Alabang, as indicated in the IDs recovered from Padilla. Capati writes in her blog, "The Padilla family would like to ask for the help of the Commission on Human Rights to at least look into the matter and perhaps answer even just a few more questions. Some light in this tough time will really help. Regardless of how Ivan lived--his family has a right to know exactly what happened at his time of death." Meanwhile, Inquirer.net reports that Padilla and his gang members were caught with the help of Facebook and Twitter. Police said the first member they arrested, Ryan Francisco, identified some gang members and allowed the police to use his social networking accounts. "They exchanged information and their planned targets [on Facebook and Twitter]. They used military terms," Superintendent Leo Francisco told Inquirer.net. Francisco added, "We have accounted for six but we count 10 to 15 members. They are lying low but we have the address and profiles of these persons." For more on this story, log on to GangCentral.wordpress.com, ABS-CBNNews.com and Inquirer.net. Sen. Miriam Santiago slams P-Noy’s Truth Commission, calls it a "gross violation of the Constitution"
Tweets of the Week: The latest on KrisJun, Cassandra Monteroid gets a Brazilian and more!